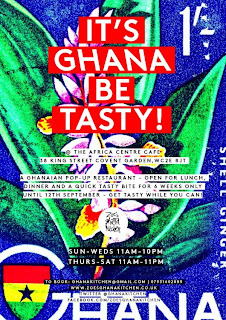 Frequent popper-upper Zoe's Ghana Kitchen is holding a residency at The Africa Centre in Covent Garden until 12th September. It's open daily, and ss she always says, "It's Ghana Be Tasty!" 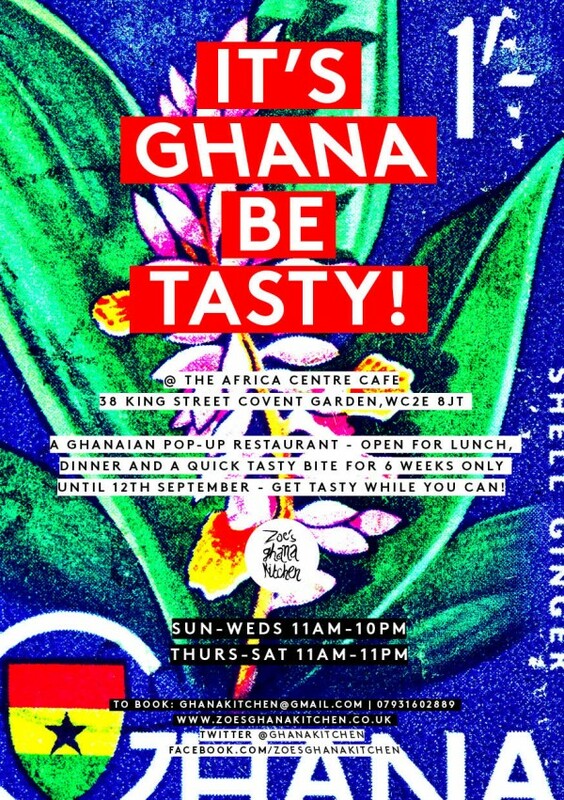 "Zoe's Ghana Kitchen, the culinary highlight of the Africa Centre Festival earlier this month, is taking the helm of the centre's café for a flavoursome dining experience, running until 12th September in Covent Garden. Two and three course menus, music and more will run alongside intimate sittings for just 22 people. Grilled Chicken Jollof Burgers and Wraps, Nkatenkwan Wrap and Garden Egg moussaka are just some of the dishes Zoe's Ghana Kitchen (ZGK) will be serving during their residency at the Africa Centre. Other light bites and snacks including sweet dough bread, milo and full range of African drinks will also be available including African Fanta, Malt Beer, Malta Guinness, Star and Gulder Beer and Palm Wine."